Through its Checkpoint Marketing for Firms product lines, Thomson Reuters offers marketing and client communication solutions designed to help accountants, attorneys, payroll bureaus, HR companies, financial institutions, and financial service providers achieve their retention and business development objectives. Our solutions include niche marketing newsletters, tax guides, seminar programs, and content for websites, social media posts and other communications. With headquarters in New York, Thomson Reuters employs more than 55,000 people and operates in over 100 countries. 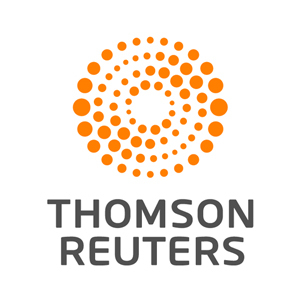 Thomson Reuters shares are listed on the Toronto and New York Stock Exchanges (symbol: TRI).